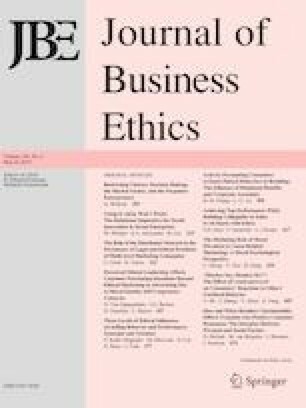 Drawing on social exchange theory, this study examines a mechanism, namely organizational social capital (OSC), through which self-sacrificial leadership is related to two types of employee behaviours: organizational citizenship behaviours (OCBs) and counterproductive behaviours (CPBs). The results of two different studies (a field study and an experimental study) in Egypt showed that self-sacrificial leadership is positively related to OSC which, in turn, is positively related to OCBs and negatively related to CPBs. Overall, the findings suggest that self-sacrificial leaders are more likely to achieve desirable employee behaviours through improving the quality of social relationships among employees. All procedures performed in the study involving human participants were in accordance with the ethical standards of the institutional and/or national research committee and with the 1964 Helsinki declaration and its later amendments or comparable ethical standards. This article does not contain any studies with animals performed by the authors.